Charlotte A. Michie, LCSW, PLLC, wants couples to learn skills for creating and sustaining strong, happy marriages. Ray and Charlotte Michie have been married for 34 years. Charlotte, a Cary, North Carolina psychotherapist, will begin offering skills training weekends next month to help couples learn practical tools for creating and sustaining happy, successful marriages. 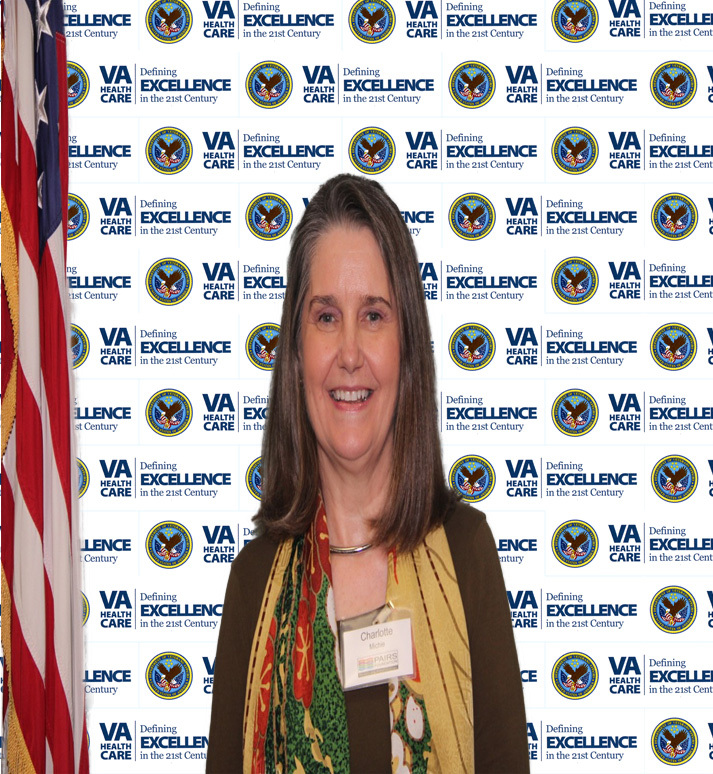 She became certified as a marriage educator after completing PAIRS Professional Training at the Hampton VA Medical Center in September. Ray has promised to provide technical assistance for the classes. In her free time, Charlotte enjoys knitting, reading, walking, movies and stain glass projects. What led you to want to teach relationship and marriage education? As a psychotherapist, I have worked with many individuals who are unhappy with their relationships. These clients needed to learn new ways on how to relate to their spouse. Their inability to relate satisfactorily led some of these clients to feeling depressed and anxious. Others felt like “non-entities” with the one person who was suppose to love them. I did a web search and found PAIRS. I was considering other approaches like Emotion Focused Therapy (EFT) and Imago, but liked the fact that PAIRS was educational and not therapy. I firmly believe it’s our responsibility as adults to love self and others in healthy ways so we can all experience a saner world. What inspires your passion for helping relationships? I am inspired by all the challenges that couples and families are facing today. There are many challenges, i.e., technology, education, war, work, health just to name a few. Because of advances in medical technology, having children is truly an option or if pregnant, does the couple have genetic testing? If children are a reality, then who works and who stays at home? Maybe that’s not an option at all — both must work. Couples need to know how to get their emotional needs met for the survival of the family unit. Couples need to know how to disagree and not disintegrate as a unit. I am passionate about demonstrating through skills building that change can happen and that it can be a positive for the couple/family. 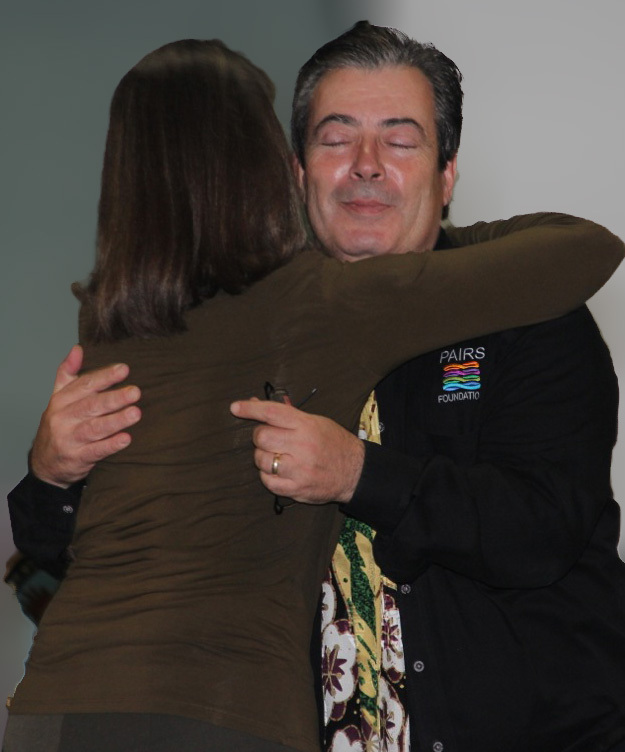 Cary, North Carolina Marriage and Family Therapist Charlotte Michie shares a grateful embrace with PAIRS Foundation CEO Seth Eisenberg at conclusion of PAIRS Professional Training. What are some of the challenges you’ve found people are better equipped to overcome in their lives as a result of Marriage and Relationship Education? I have found that couples become better at giving positive feedback, asking directly for what they want from their partner, more willingness to listen and much better at conflict resolution. This then has a direct impact on the children and their well being. How has your work in this field touched your own life? I am very much aware of how precious life is and especially my life with my husband. Relationships are everything. If you have a good relationship with your spouse, you have it all even if you are sick and without money. I know from experience everyone is doing the very best they can in this moment and there is no need to blame or to judge. What three qualities would you like to be most admired for by your family and friends? 3. And to see me as someone with a lot of curiosity and the heart to follow it.